Published: Thursday, February 9, 2017 on Pastor Chuck Baldwin’s website. Israeli Prime Minister Benjamin Netanyahu is one of the most corrupt political leaders on the planet. He is also one of the most heavily financed political leaders on the planet. But it is doubtful that Bibi will be able to tread water much longer. It appears that his political demise is inevitable. And you haven’t heard a word about it from the controlled mainstream media in the U.S., have you? Of course not. The men who own the mainstream media are among Bibi’s largest contributors. Neither have you heard anything about it from the so-called conservative publications, periodicals and websites. There is one common denominator that links the mainstream media with the so-called conservative media: infatuation with the modern State of Israel. 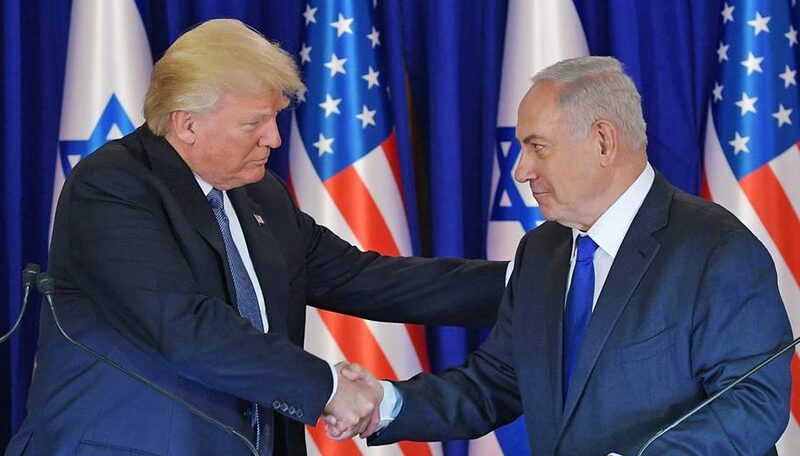 Without a doubt, Netanyahu’s plummet in popularity at home is one of the reasons (maybe the MAJOR reason) why he is pressuring Donald Trump to ratchet up a war against Iran and why he is mobilizing accelerated (illegal) Israeli settlements on private land owned by Palestinian people. War and military conflict has always been a favored tactic of embattled politicians to increase their popularity and deflect negativity. Neither does it hurt that Jared Kushner, Donald Trump’s son-in-law and presidential adviser, is a MAJOR financial backer of the (illegal) land settlements. One indicator that Netanyahu will be removed from office soon is longtime Bibi supporter, billionaire Sheldon Adelson, is starting to back away from the embattled Israeli Prime Minister. That’s NOT a good sign for Bibi at all. The removal of Netanyahu from office would be a very good thing for the entire world. The problem is the State of Israel is controlled by about 20 mega-rich Zionist families. To think that these power-brokers would replace Bibi with a truly honest man is as likely as the sun rising in the west tomorrow morning. As I often do, I tested this column by writing a brief post on this subject on my Facebook page. I wasn’t surprised when Christians came out of the woodwork in a vitriolic attack against me for what I said about Bibi. Many accused me of heresy and vowed to never read my Facebook page again. 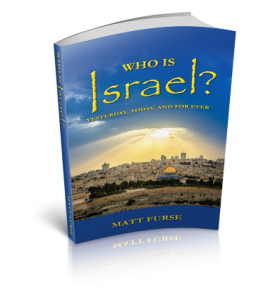 Since my lengthy personal research and study into the Biblical teaching on Israel, I have come to learn this: the entire faith system of many professing Christians depends on their allegiance to the modern State of Israel. These Christian Zionists might recite a pledge of allegiance to the United States of America, but their true allegiance is to the State of Israel. It is no hyperbole to say that for many professing Christians, the modern State of Israel is every bit as important as Jesus Christ Himself and their own personal salvation. In fact, many of these folks equate their allegiance to the State of Israel with their own personal salvation. And they are quick to condemn anyone to hell who does not share their allegiance to the State of Israel. I find this extremely perplexing. I truly wonder if this cultish infatuation with the modern faux Israel might be the great “falling away” and devilish deception of the last days. But I digress. Faithful readers of this column and followers of my ministry know that for most of my adult life I subscribed to dispensational modern-Israel-is-the-fulfillment-of-Bible-prophecy theology. And while I would debate with people holding alternative opinions (as I hold now), I never felt that their differences of opinion on this subject somehow invalidated their Christian faith. So, why is it that so many Christians are so dependent upon a commitment to the modern State of Israel to the point that it is part and parcel to the very core of their Christian faith? For some nineteen centuries there was no modern State of Israel, and believers were quite cemented and steadfast in the Christian faith. In fact, most Bible scholars who wrote previous to 1948 had an entirely different perspective on the subject. Try reading some of them, and see for yourself. Today, however, anyone who challenges the scriptural validity of the modern State of Israel is cast off by many professing Christians in the meanest and most vitriolic terms. Why does the modern State of Israel hold such a strong grip on people’s faith? It’s as if their faith itself depends on the modern State of Israel, not Christ. If you think the Koran is bad, try reading the Talmud. As a point of reference, the Pharisees that hated Jesus were devout disciples of the Mishnah, the oral traditions which later formed the Talmud. In other words, the Pharisees were Talmudists. And, as you probably know, Jesus strongly condemned them for their devotion to the Mishnah. Consider, too: Tel Aviv is the international capital of homosexuality. That is no exaggeration. Also, the government of Israel pays for women to receive an abortion at any stage of the baby’s development. Plus, as seen in Cook’s article linked above, Israel is known globally as being a safe haven for all kinds of money laundering for international criminal gangs, especially from Russia. “A leaked U.S. embassy cable in 2009 warned that Israel was in danger of becoming a ‘promised land’ for organised crime. Furthermore, for all intents and purposes, many (if not most) Talmudists are practicing atheists. The Lord Jesus Christ (true Israel’s Messiah) is scorned and hated as much in the modern State of Israel today as He was during the days when the Pharisees crucified Him. If you think there is religious liberty for Hebrew Christians in Israel today, you couldn’t be more wrong. The last time I was in Israel, I spoke at two Baptist churches. One was in Jerusalem, and the other was in Bethlehem. Take a guess at the composition of the Christians in those churches. They were 99% Palestinian. In addition, Zionist bankers, casino owners, land developers, media magnates, entertainers, movie producers, etc., are among Christianity’s biggest enemies. That is NOT a racist statement at all. That is a cold, hard fact. You must understand that Zionism has nothing to do with race; it is a political philosophy. 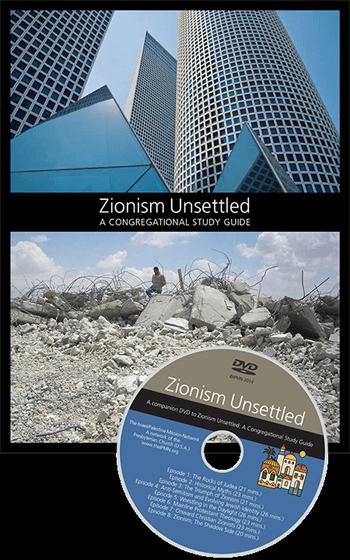 At its core, Zionism is communistic and atheistic. Accordingly, it is little wonder that Zionists are found among the liberal/progressive political parties in virtually every Western country. Zionists are found among all races and creeds. This is NOT a racial issue at all. Plus, you should know that there are many Jews in and out of Israel who are just as opposed to Netanyahu, Talmudism, and Zionism as I am. Of course, the biggest reason for this unbiblical infatuation with the modern State of Israel is the ubiquitous teaching of pastors and churches that the promise to Abraham in Genesis 12:3 is intended for the State of Israel born on May 14, 1948. And much of this teaching comes from seminaries and colleges such as Dallas Theological Seminary, Liberty University, and many other Christian schools and universities. And much of the teaching of these schools is an outgrowth of the Scofield Reference Bible and the writings of John Darby, Clarence Larkin, Tim LaHaye, John MacArthur, Hal Lindsey, et al. Also joining in this “Israel First” indoctrination is the vast majority of charismatic televangelists, such as John Hagee, Pat Robertson, Benny Hinn, Jim Bakker, Kenneth Copeland, et al. One can barely listen to a Bible message on the radio, television, or in a local church without being barraged with the “Israel First” doctrine that Genesis 12:3 is talking about the modern State of Israel. Christians are also bombarded with the indoctrination that the State of Israel created by the Rothschilds in 1948 is prophetic Israel. I suppose that belief, by itself, wouldn’t be so bad, except for the hate, vitriol, animus, and bitterness that accompanies it. 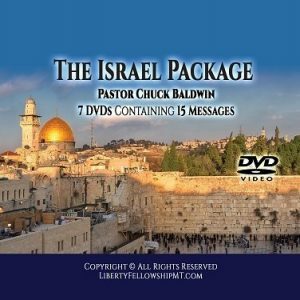 With all of the controversial positions I have taken over my forty-plus years in the ministry, I have NEVER received the hate-filled opposition I am receiving right now because of my position that the modern State of Israel is NOT the Israel of the Bible or the “Israel of God.” (Galatians 6:16) That position is NOT based on racism or prejudice or anything of the kind. It is based strictly on my study and understanding of the Holy Scriptures. One would think I had denied the deity of Christ, His virgin birth, His blood atonement, or His bodily resurrection from the dead. I dare say the opposition against me would be LESS if I had. I am NOT making it up when I say that Zionist Christians have vowed to ruin me, thoroughly discredit me, and some have even threatened (more than once) to KILL ME. Can you imagine? It’s absolutely true. I guess Muslims aren’t the only ones who know how to hate. For all of the good things Trump has done thus far, he has wasted no time in beating the war drums against Iran. The rhetoric of Trump and Mattis and Flynn is eerily similar to the rhetoric of Bush and Cheney and Rumsfeld back in 2002 & 3. Iran is being painted as the next Big Bad Wolf that the U.S. must attack in order to save the world. But why? Iran is condemned because Iran-backed Houthi rebels attacked a Saudi warship and Tehran tested a missile. For this, “American lives are at risk.” Really? How so? The Saudis have been bombing the Houthi rebels and ravaging their country, Yemen, for TWO YEARS. Saudi Arabia is apparently exempt from retaliation from wars it starts. But one act of self-defense by the Yemenis and Donald Trump puts Iran “on notice”– and generals Mattis and Flynn declare it to be America and the world’s greatest threat. Really? Trump has also foolishly reinstated sanctions against Iran. Both Russia and Iran see this as a violation of the 2015 treaty, which now allows Iran to withdraw from the agreement altogether. Where is the evidence that Iran even had a role in the Houthis’ attack against the Saudi ship? Plus the UN resolution only forbade Iran from testing nuclear missiles, not conventional ones–which Tehran insists this test was. Of course, the globalist warmonger Benjamin Netanyahu is cheering Trump on. Perpetual war in the Middle East is Bibi’s best friend. Right now, he’s counting on it to save his political career. Furthermore, is it any coincidence that the Saudi king spoke with Trump on Sunday (1/29) and then suddenly the Trump administration is beating the war drums against Saudi Arabia’s mortal enemy, Iran? The Sunni Muslim government of Saudi Arabia has long salivated over conquering the Shia Muslim government of Iran. Trump’s public rhetoric and the reinstatement of sanctions make a collision with Iran almost inevitable. Did Trump learn NOTHING from G.W. Bush and Barack Obama? An unnecessary and unprovoked war in Iraq; wars in Libya, Syria, and Yemen costing trillions of dollars and thousands of American lives; not to mention a global harvest of hatred against America that launched Al Qaeda and ISIS. Oh, yes, and there’s also the little matter that Iran and Russia are committed allies. Trump said he wanted a less hostile relationship with Putin’s Russia. Well, going to war with Iran is not the way to do it. As this is being written, the U.S. Navy is practicing war games fifty miles off the coast of Iran. This is not good, folks. Perhaps Trump is listening to the advice of the War Party members that he foolishly appointed to his cabinet. (I tried to warn people about these appointments when they occurred–but I didn’t think the bitter fruit of these appointments would ripen in only two weeks after his inauguration.) Convincing Trump to go to war with Iran would be a good way to make him a one-term President. The American people didn’t put Trump in office for him to take the United States into yet another unnecessary and unprovoked Middle Eastern war. But it looks like that is exactly what he is planning to do. And what’s at the center of all of this war fever? An Israel-First foreign policy and an Israel-First “Christian” theology. Hate me and stone me if you want to: Americans should be all about America-First, and Christians should be all about Christ-First. In the meantime, unless a U.S.-led war against Iran can save him, it seems that Netanyahu’s crimes are starting to catch up to him. And if Christians cared anything about truth, righteousness, and justice, they would be happy to hear it. I seem to recall that God’s prophets had something to say about Old Testament Israel’s wayward kings. Speaking of which, where are God’s prophets today? Folks, consider: I had believed, taught, and preached dispensational, Israel-First theology for over thirty years–why would I take an opposite view NOW, after all these years? Why would I risk my ministry, my livelihood, and my family’s future? And with the hateful reaction to my position, that’s exactly what I’ve done. Continued attacks against me for my position on websites, radio talk shows, periodicals, and newspapers make columns such as this one obligatory. Like my positions or not, I have always tried to be true to my conscience and my beliefs. And if I go to the poor house over this issue, so be it. I will be faithful to the truth as I understand it, regardless.